Invisible Invaders. Premium Pictures 1959. Here is a sci-fi B-movie. B-movies can be fun. Very few B-movies are legendary enough to be well-known. This is not one of them. Apparently John Agar is a big name of B-movies, but I don’t recognize him. Mainly because I’m not steeped in B-movies. But they are fun. Carousel. 20th Century Fox 1956. On the surface, this looks like just as much fluff as State Fair, but the setup sounds rather dark. It’s a man’s one more day to get it right with his family after a fatal accident. Moreover, one summary I saw specifically calls him abusive, though that’s probably from subtext. Depressing themes in a musical? Not something one would expect before the late 60s. But then it manifests as flowy dancing around a carnival, so it can’t be entirely bleak. Compulsion. 20th Century Fox 1959. I have no idea what to expect. This was an algorithmically generated recommendation I’ve never heard of, and all I have to go on is that it’s a courtroom drama about some amoral law students who believe they’re above the law. And Orson Welles is in it. The Greatest Show on Earth. 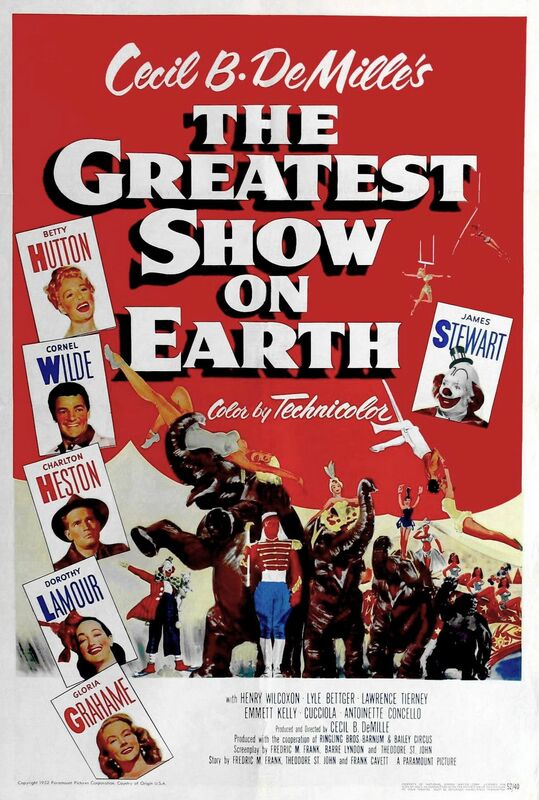 Paramount Pictures 1952. Much like State Fair, I get the idea this is is a movie that’s more about taking the audience to an event than actually telling a story. In this case, bringing the circus to an audience that doesn’t have a circus in town right now. I thought this was a musical, but it doesn’t appear to be. It is a Cecil B. DeMille epic however, and it makes perfect sense to pair a circus with a director known for massive crowds and setpieces. I’m not really sure a story about a circus can really be an “epic” in any sense but the spectacle and runtime though.